OHHH I needed something for lunch today! This is SUCH a yummy idea! Wedge salads are my absolute FAVORITE! This totally makes me want to rush out and buy the ingredients for one asap. BTW I'd totally choose the Bleu Cheese! YUM! When I saw the bottle for ranch, I was sold. This looks really awesome, it's the first time I've heard of the brand but it's worth a try for sure. There's just so much that you can do with dressings, you know. This sounds super flavorful. I think my boyfriend would be pretty happy if I made them with the homestyle ranch. I want to try the Ranch dressing. Never tried Litehouse Chunky Bleu Cheese, but I need to try it now. This salad looks delicious. Wow, sounds exciting to win these products! I love your recipe, it has chicken and bacon in it- these are two of my favorite foods! 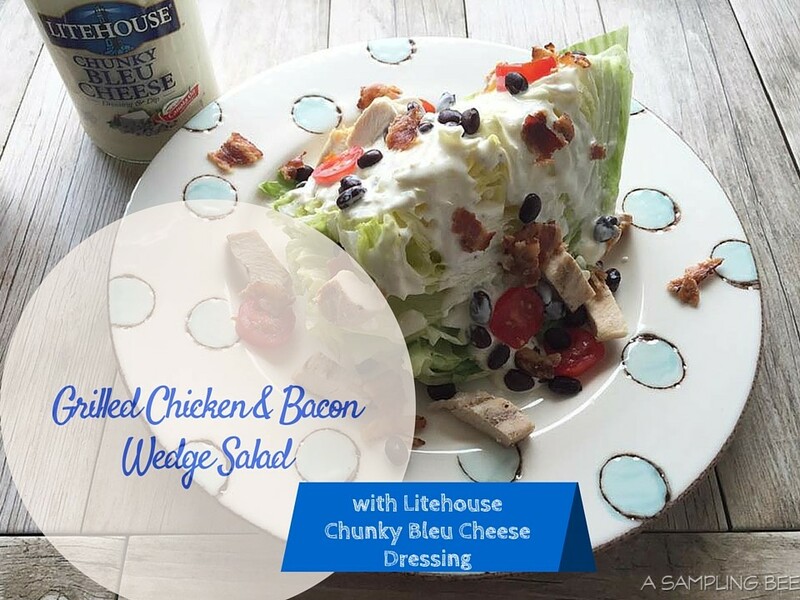 This wedge salad looks delicious. I haven't tried making a wedge salad before. If I buy a head of lettuce, I usually end up cutting it up into bite sized pieces. 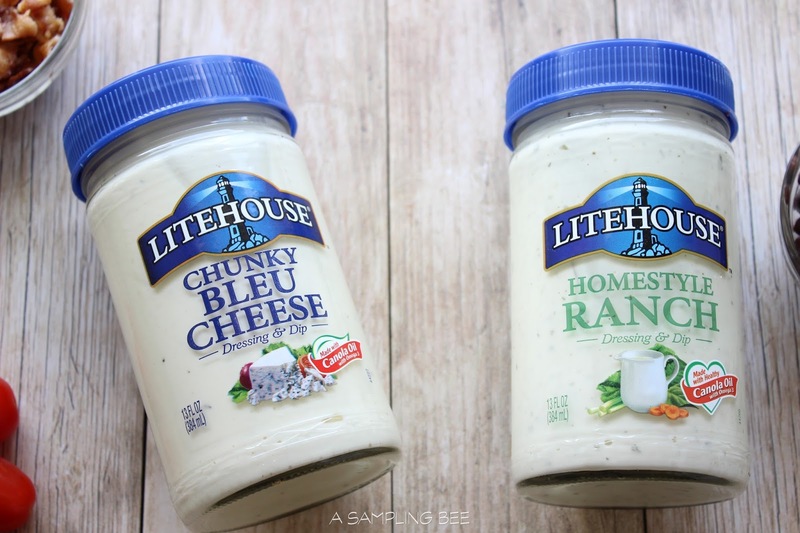 I want to try the Blue Cheese but the Thousand Island and Ranch on their website both look good as well. That looks really good. I love that it's a wedge too. I would love to try this out. I hear the Litehouse products are amazing too. I LOVE that blue cheese dressing and whenever my husband does anything with chicken he adds it to his chicken, sometimes as a dipping sauce. BTW love your recipe because everything is better with bacon. I've been hoping to get something like this when I went to a dinner party. 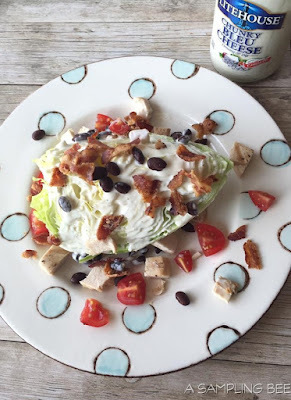 Unfortunately, there was none but my bacon and salad cravings can be satisfied with this recipe! 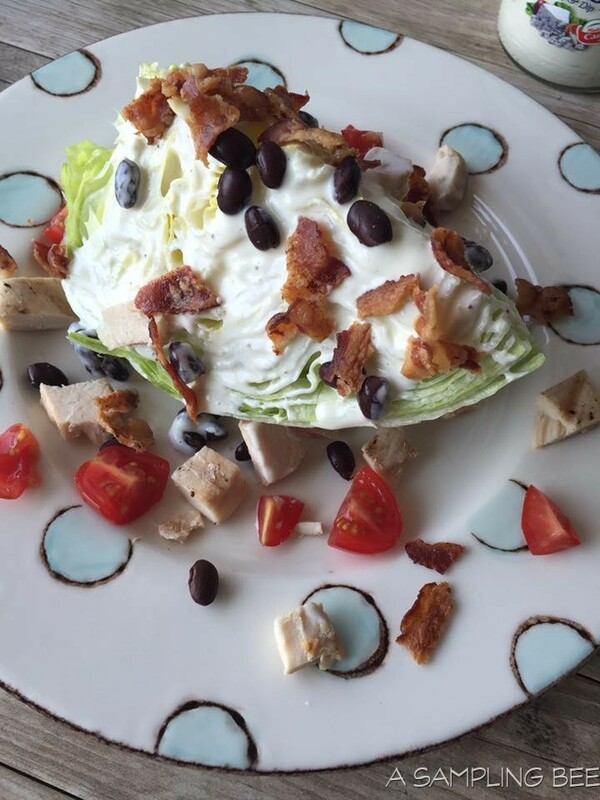 Oooh, I love a good wedge salad. But, you're right... you need to have a delicious dressing! I'd like to try the Ranch dressing! I would like to try the Ranch the most.